If you have a tooth that's been fractured in some way, it can pose a number of health and cosmetic problems. The team at our Wilmington restorative dentistry center has been able to rebuild and restore people's damaged teeth through customized care and state-of-the-art techniques. In terms of the aesthetics of your smile, a tooth that's been chipped or cracked can be off-putting. As far as the health of your teeth goes, fractures, chips, and cracks make a number of issues more likely, such as toothaches and root canal infections. Thankfully there are many treatments that can address tooth fractures of different magnitudes. For minor fractures that are cosmetic in nature, dental bonding is the lease invasive option to consider. Dental bonding involves the use of a tooth-colored dental resin that is painted on the the teeth. The resin is carefully polished in order to blend the material with your natural tooth structure, making your smile look pristine. For more serious fractures that remain primarily aesthetic in nature, porcelain veneers are an ideal option to consider. These thin shells of dental ceramic fit over the fronts of your teeth. When the veneer is in place, it masks imperfections from view, making your smile look perfect and pristine. Porcelain veneers are quite versatile, and they are able to address a host of cosmetic flaws, including tooth discoloration, tooth asymmetry, and minor gaps. If you have minor fractures, these can potentially be repaired through the use of dental fillings. 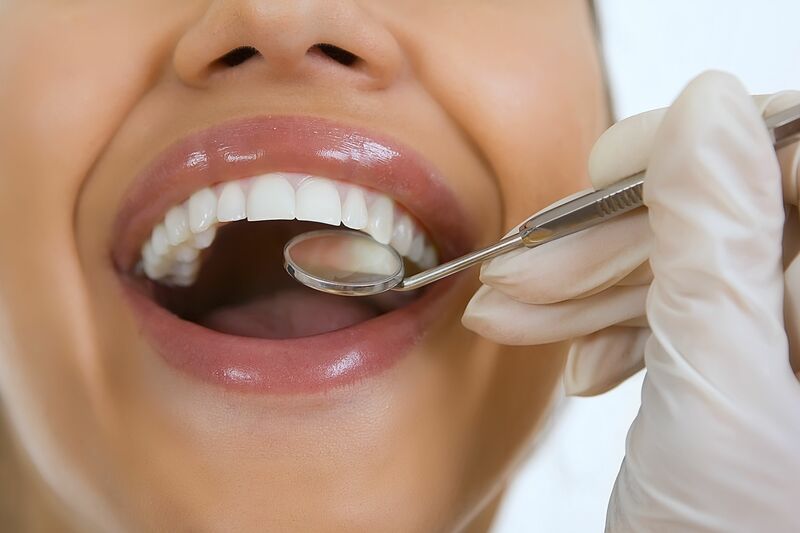 The fillings will be specially prepared and molded to rebuild missing tooth structure so you can bite and chew with renewed confidence. For more serious fractures, a filling will simply not be enough to address the tooth damage. In these cases it's ideal to consider inlays and onlays. These restorations are a lot like fillings but they are designed to rebuild more of a tooth's structure. Inlays and onlays are such that they can replace the entire biting surfaces (cusps) of the teeth. For severe fractures that impact the majority of a tooth's structure, the last resort to fix a tooth is a dental crown. Dental crowns are used to cap seriously damaged teeth. This allows a patient to bite and chew normally without worrying about pain and further tooth damage. If a tooth is so seriously fractured that it can no longer be restored, it may be necessary to extract the tooth or the remaining portion of the tooth. In such cases you can discuss different options for replacing your missing teeth with your dentist. Options may include dental bridges, dentures, or dental implants. For more information about various treatments for teeth that are chipped or cracked, be sure to contact our cosmetic and restorative dentistry center today. The team at our practice looks forward to your visit and discussing these matters with you in greater detail.